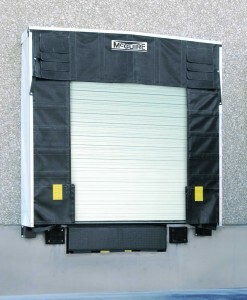 TC300 SERIES FLEXIBLE STEEL FRAME | Dock Door Systems Inc. The TC 300 series flexible steel frame shelter services a wide variety of vehicle sizes and types, while providing full unimpeded access to the interior of the trailer. The flexible steel X arm frame yields to misguided vehicles and aids in the prevention of costly building and shelter damage. 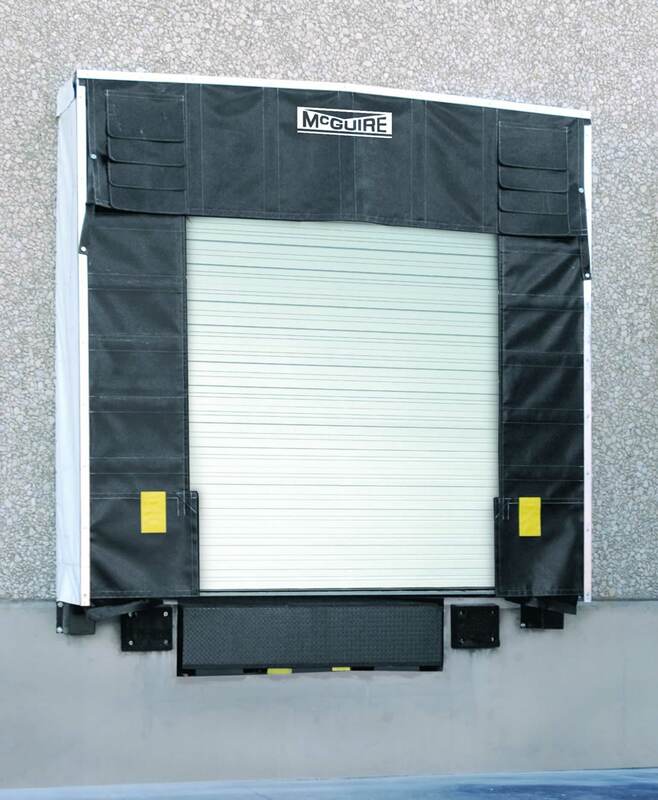 If an off-center trailer contacts the frame it moves upwards and back to prevent potential damage to the wall and/or shelter. After the vehicle leaves the X arm design returns the frame to its original position. The top is raked to promote drainage and top and sides are covered with a translucent fabric to protect from the elements and permit light to enter. Two steel protectors and bottom draft pads are standard.